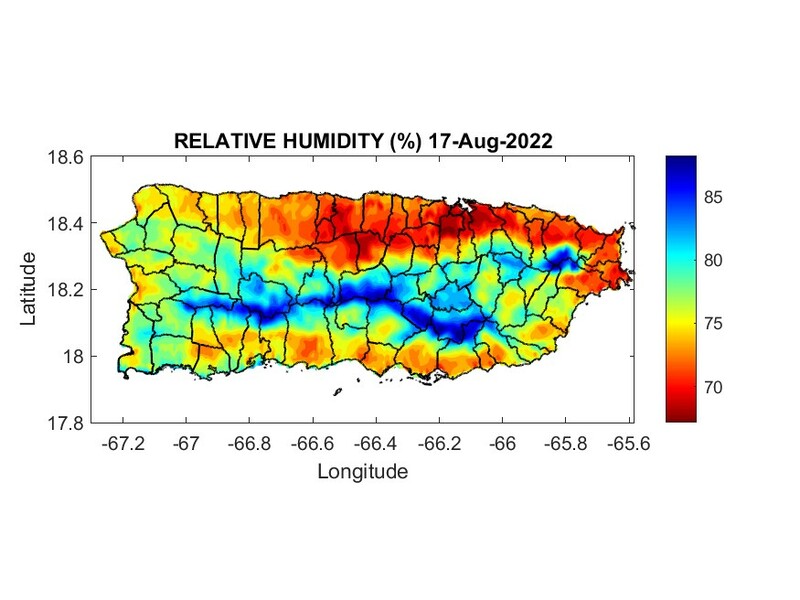 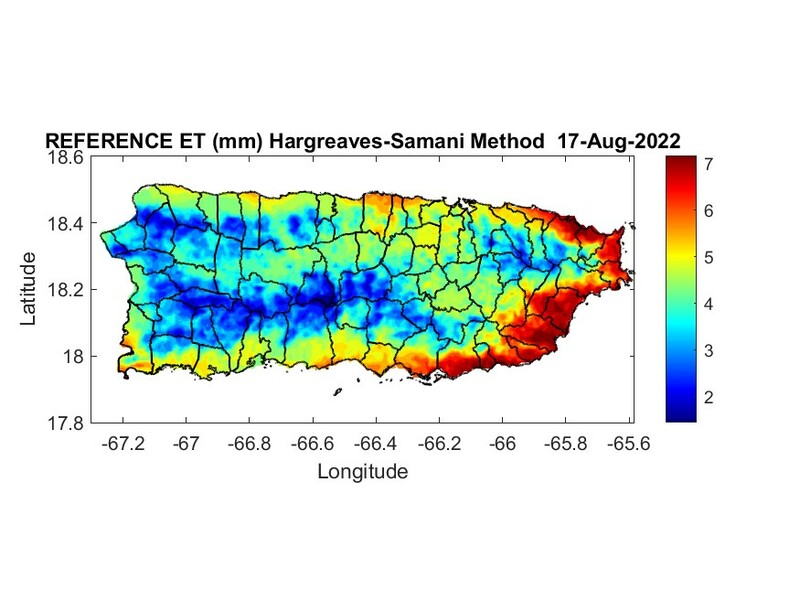 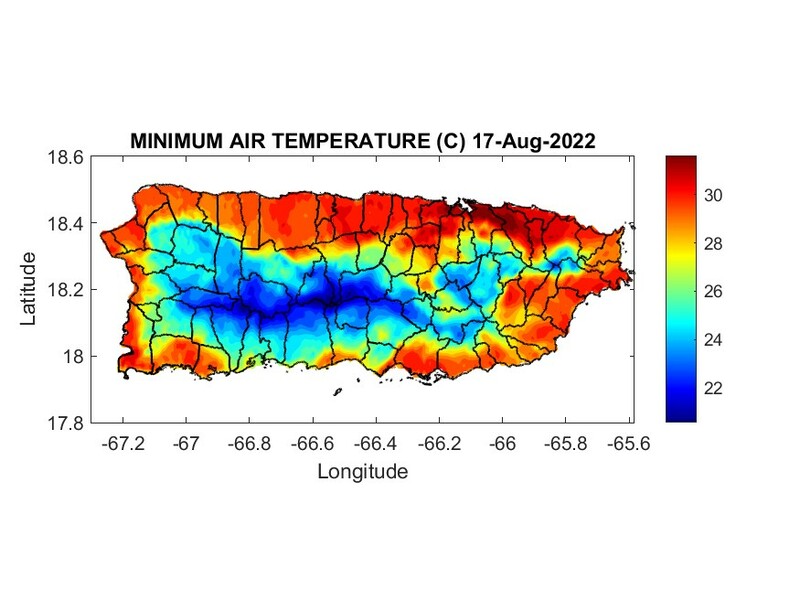 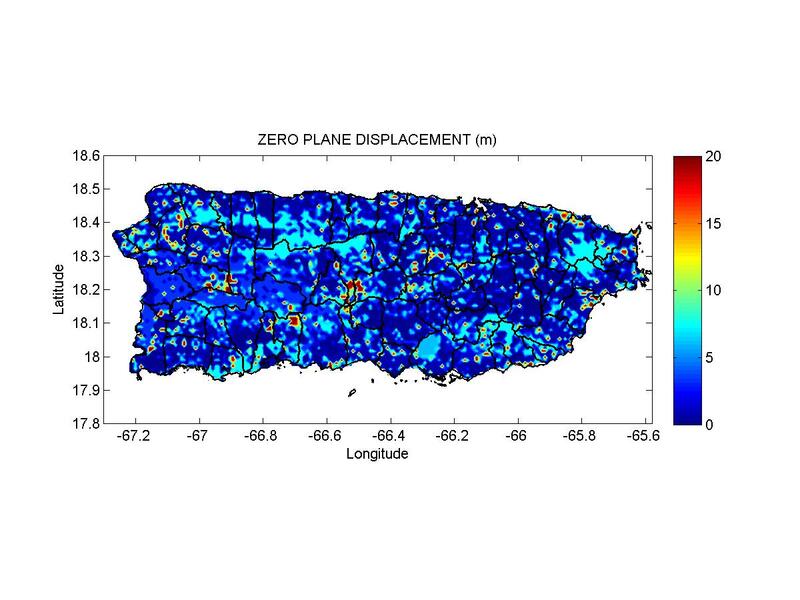 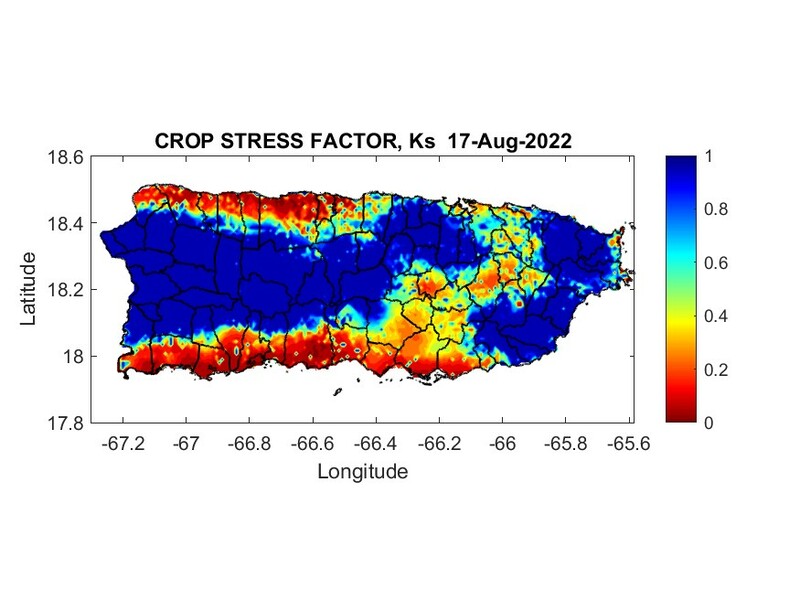 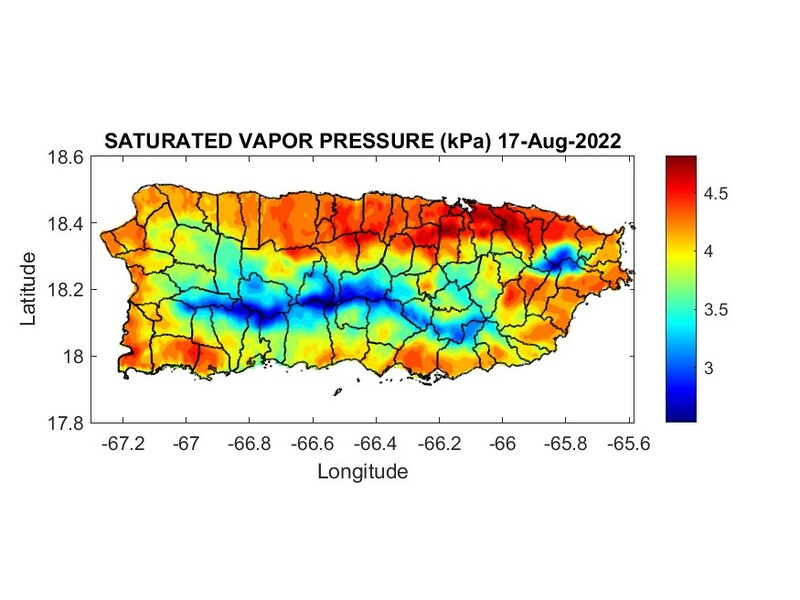 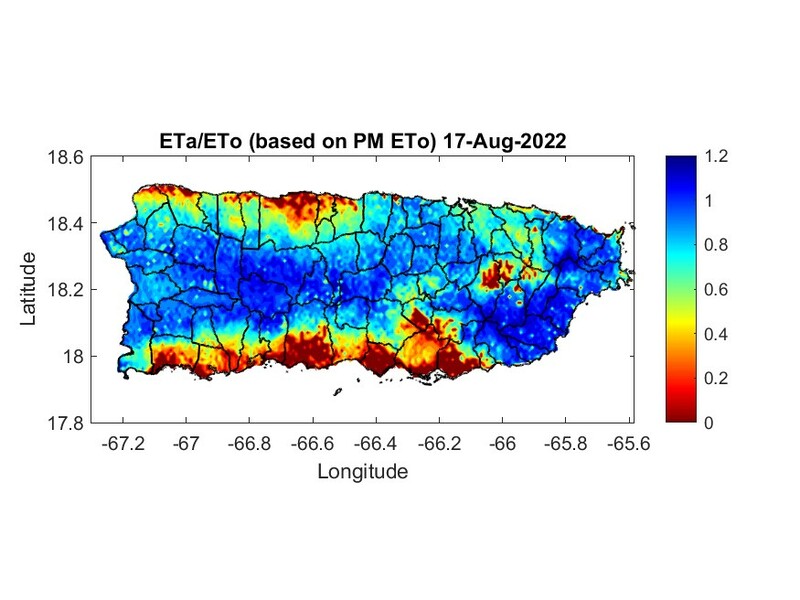 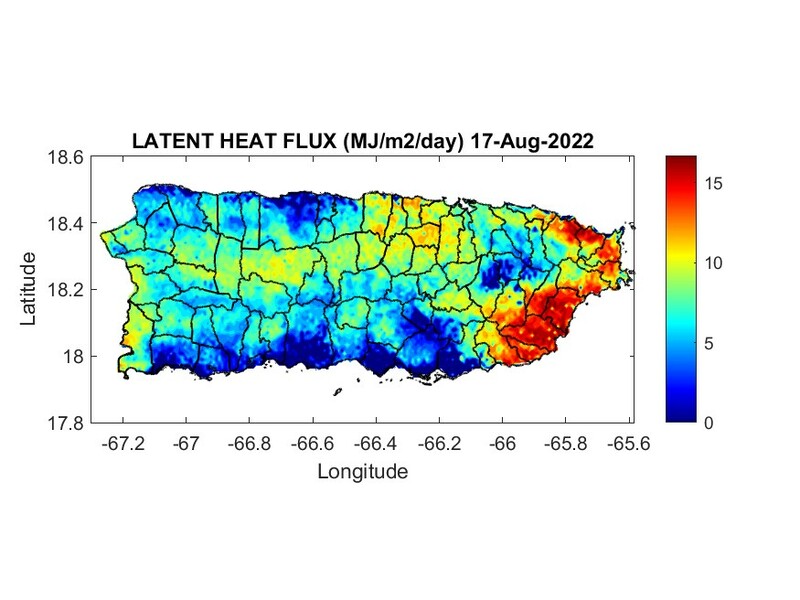 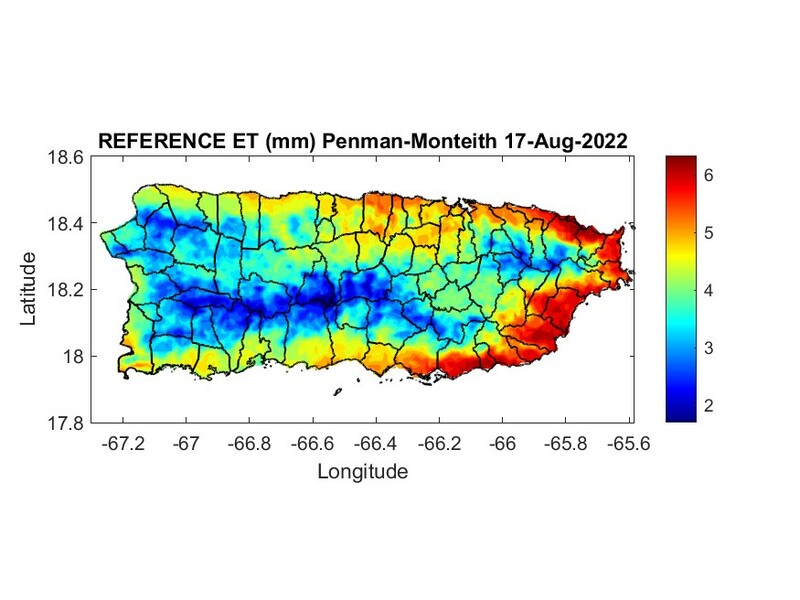 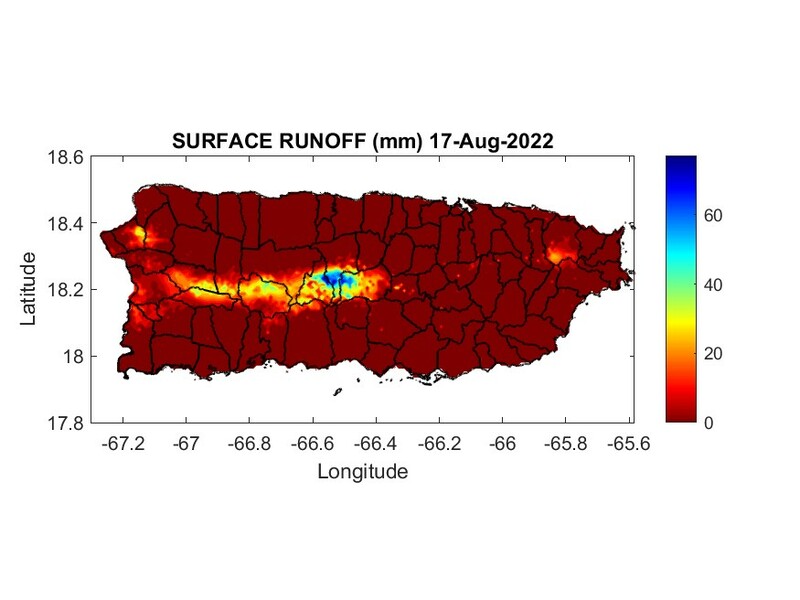 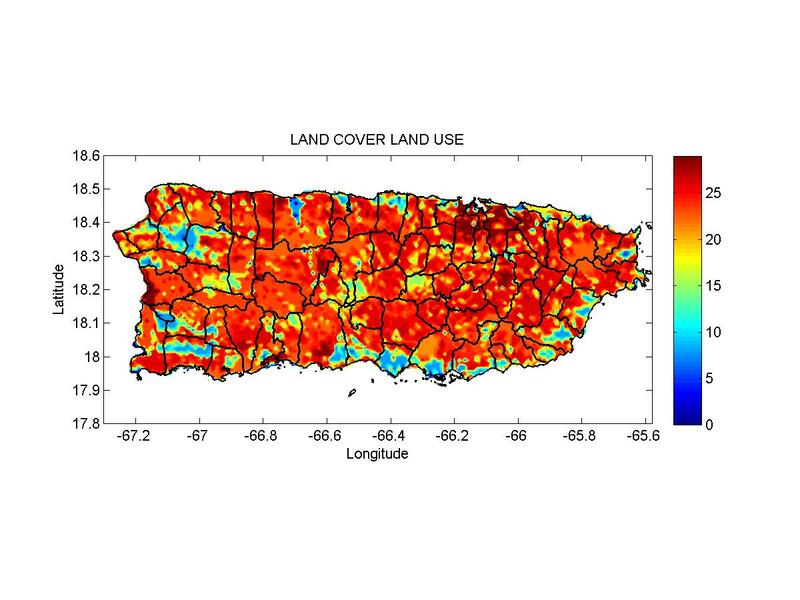 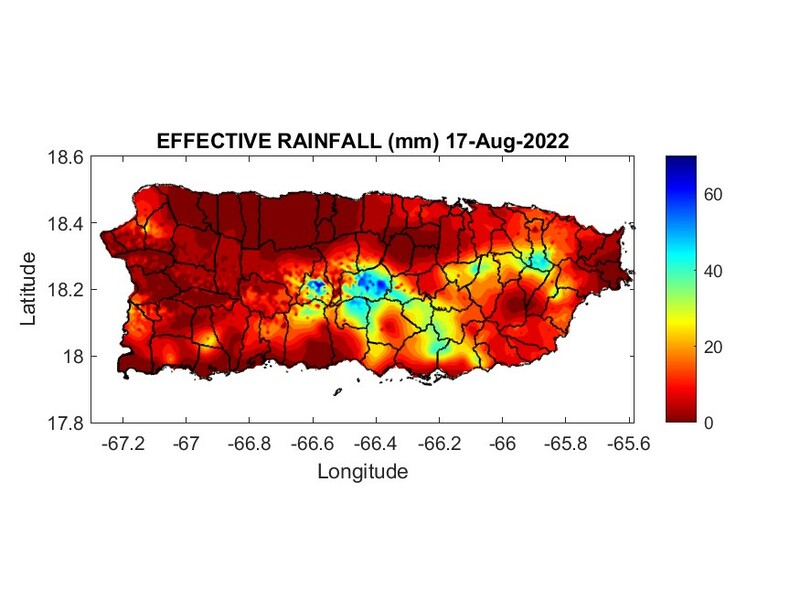 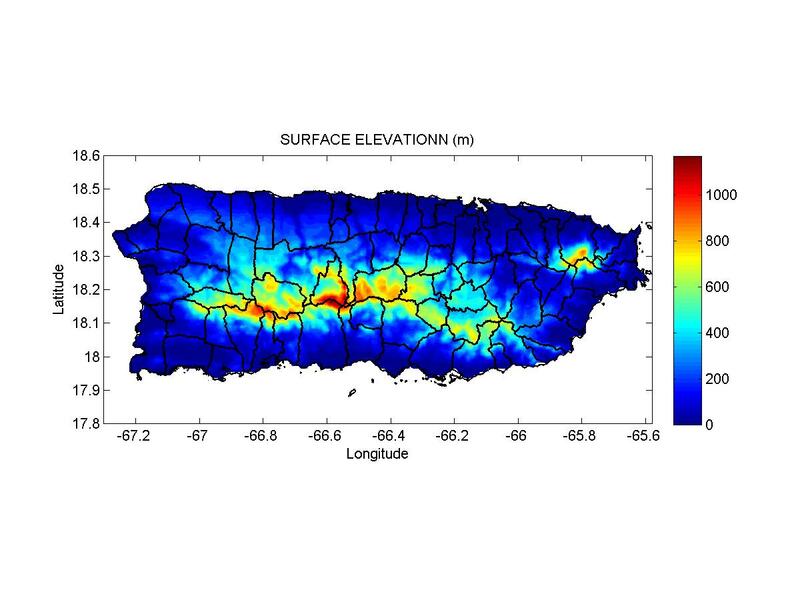 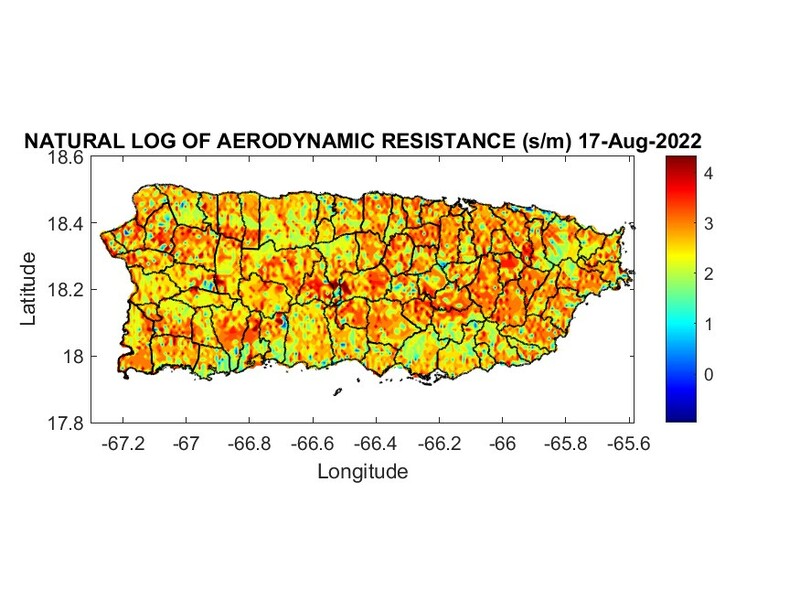 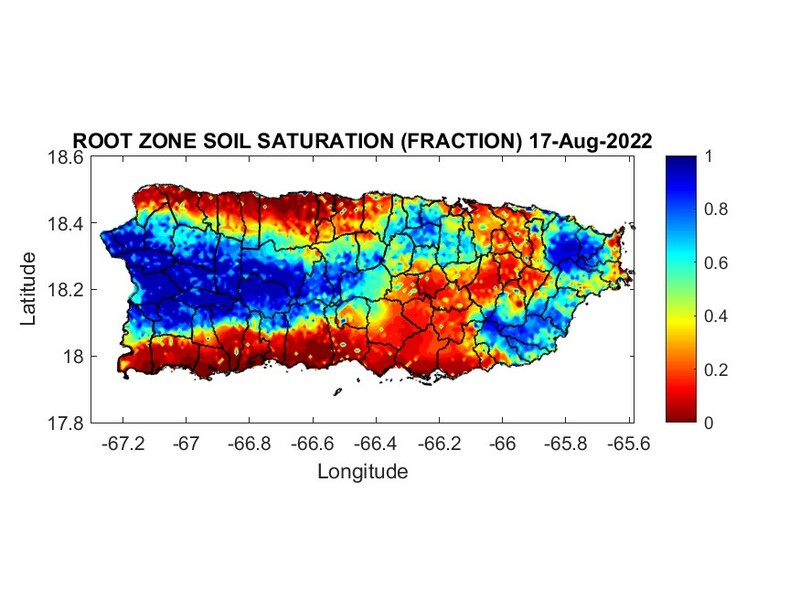 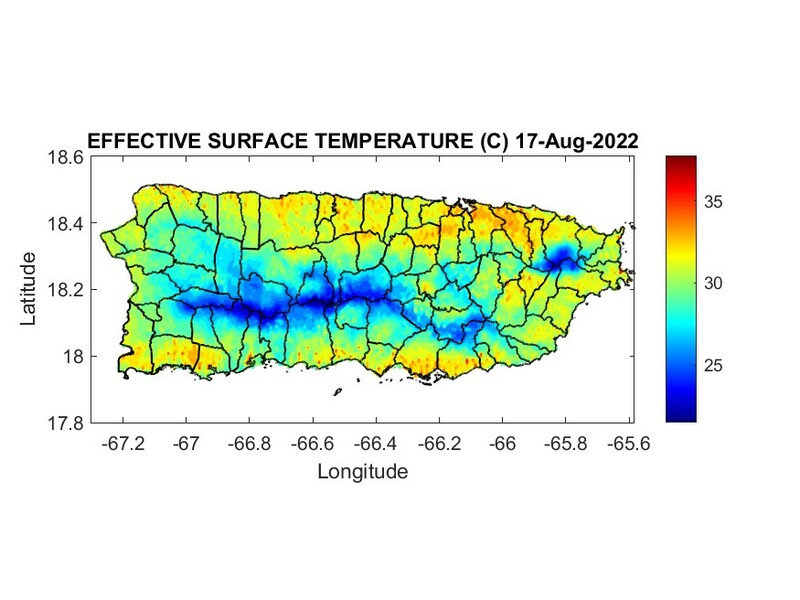 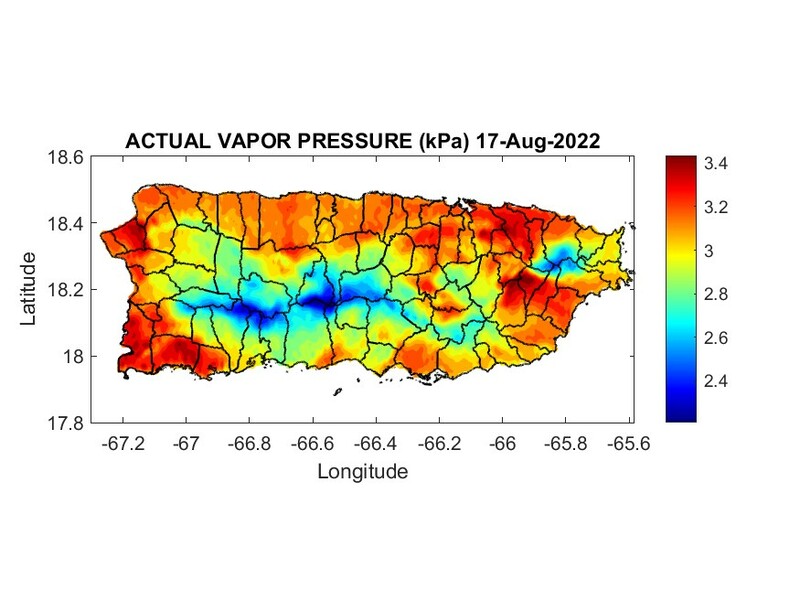 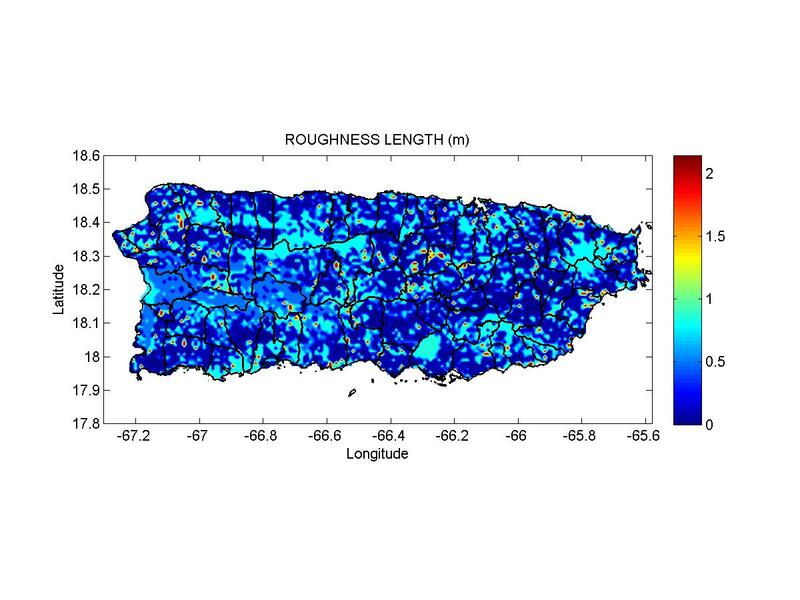 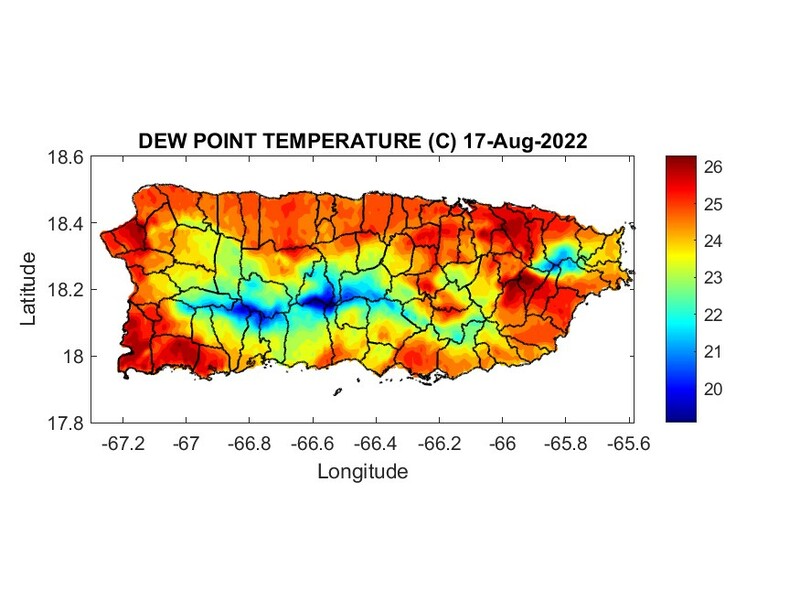 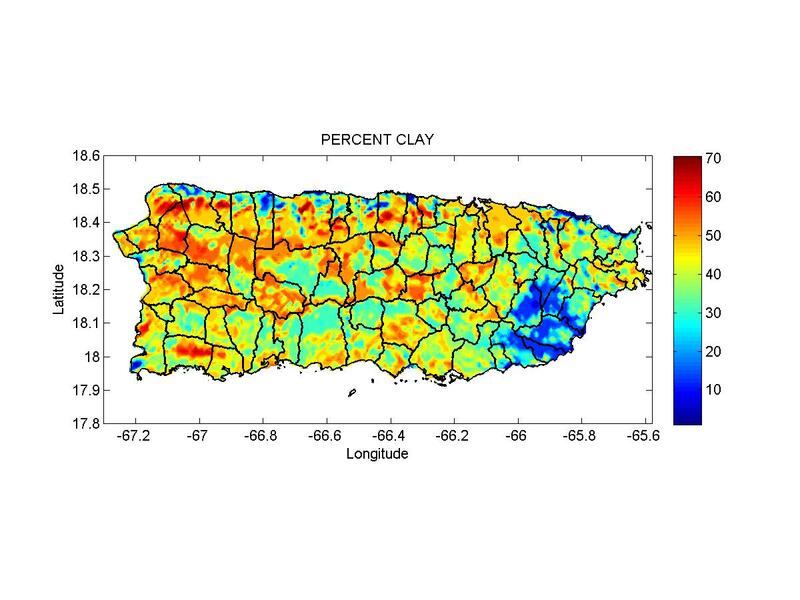 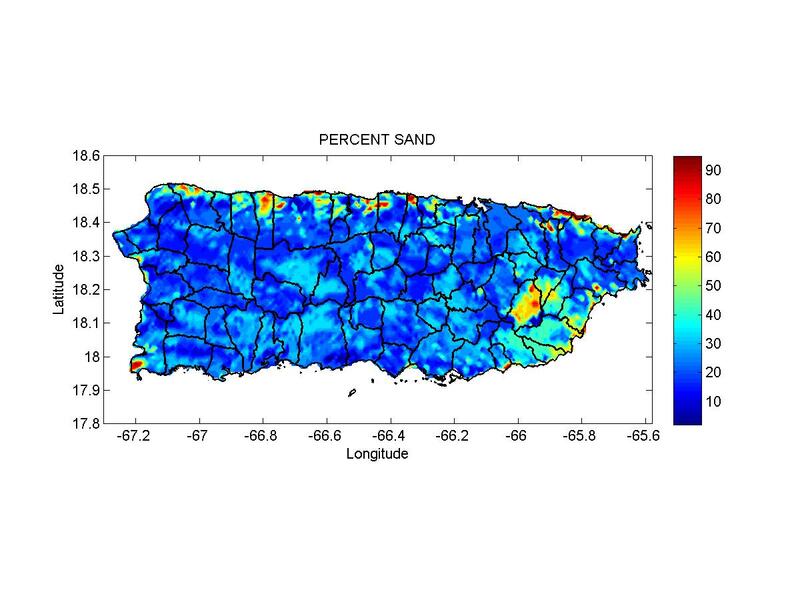 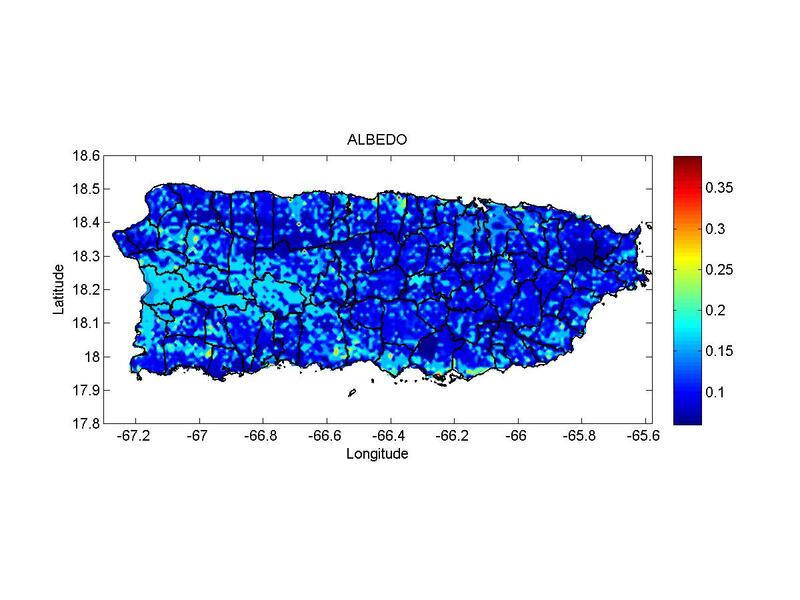 This page provides 28 input/output variables from the operational water and energy balance algorithm for Puerto Rico GOES-PRWEB for yesterday. 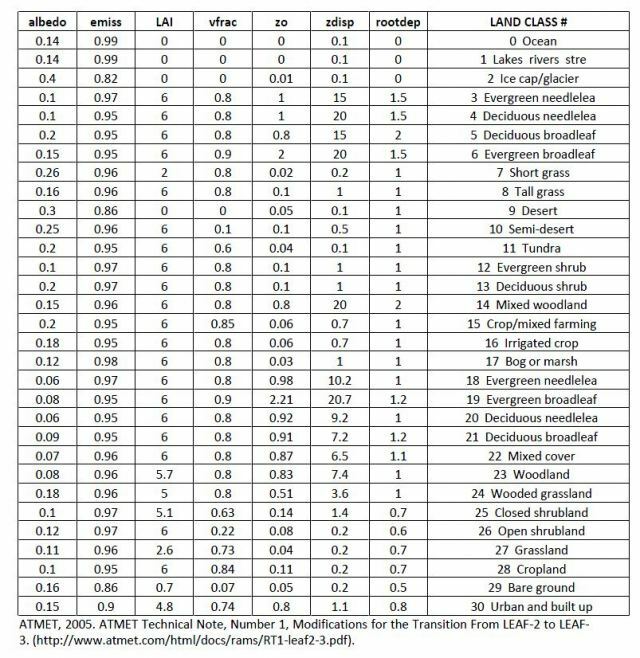 Maps of non-transient input parameters are also provided at the bottom of this page. New results appear each day at approximately 2:30 pm. 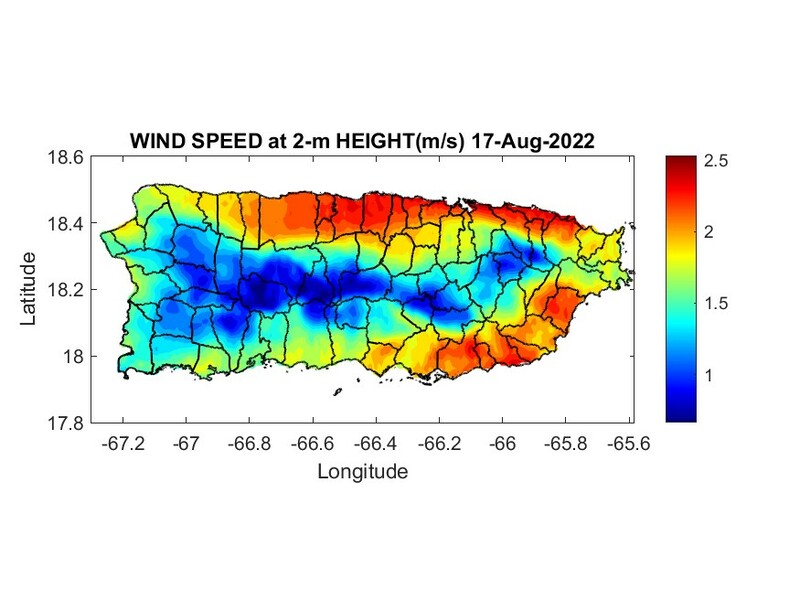 DISCLAIMER: The information on this website is provided “as is”, should be considered provisional and is subject to change. 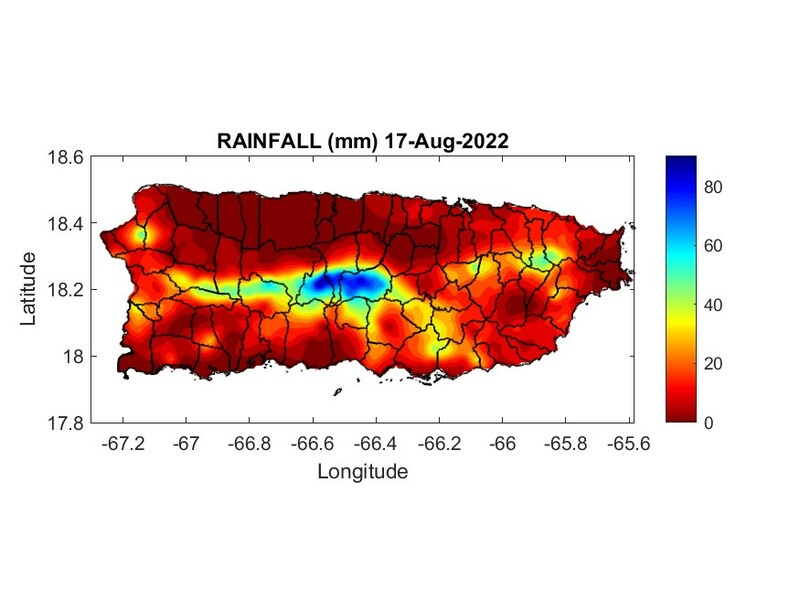 The authors and publishers of this information disclaim any loss or liability, either directly or indirectly as a consequence of applying the information provided herein, or in regard to the use and application of said information. 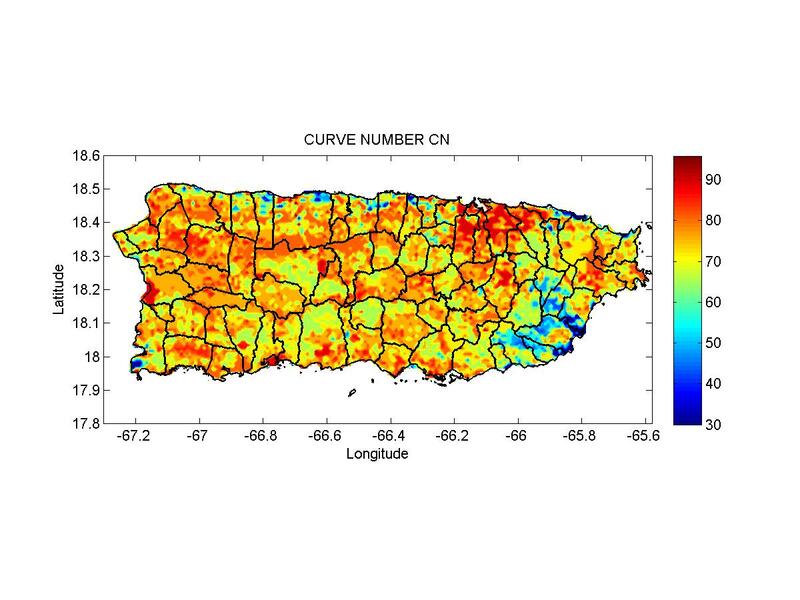 No guarantee is given, either expressed or implied, in regard to the accuracy, or acceptability of the information. 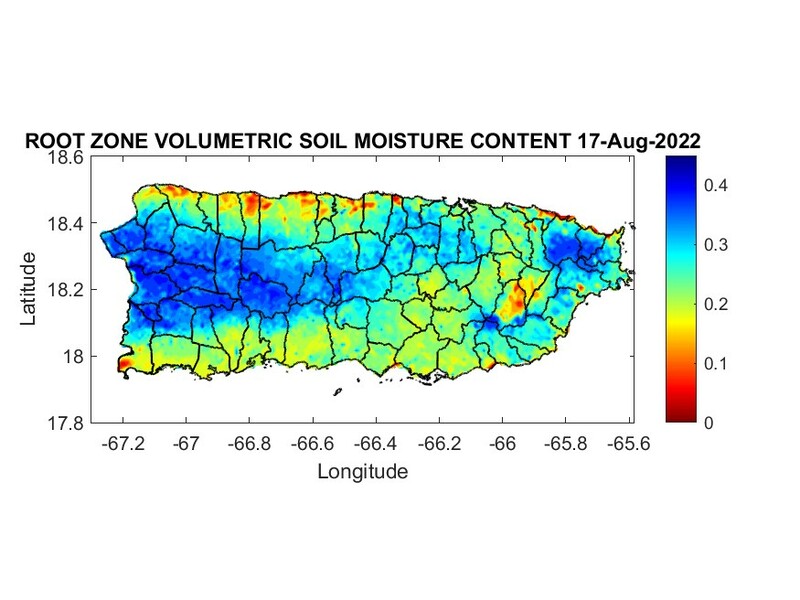 Effective Rainfall is defined as Rainfall – Surface Runoff – Percolation Below the Root Zone and is the rainfall that is available to be used for crop evapotranspiration.